Hooking rugs is a simple craft. It requires no energy source other than your own hands, and is a beautiful, meditative art form, that you can do as the world goes on around you. 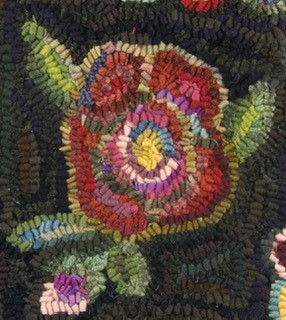 I love the craft of rug hooking! It all started with my beginning class to learn the basics, and has continued for the last 20 years to improving, experimenting and designing. 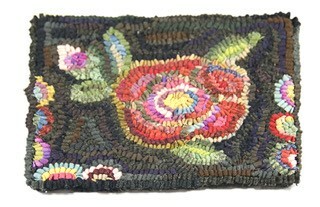 I hope to guide you on this journey to learn the art of rug hooking, and for you to discover the joy for yourself. 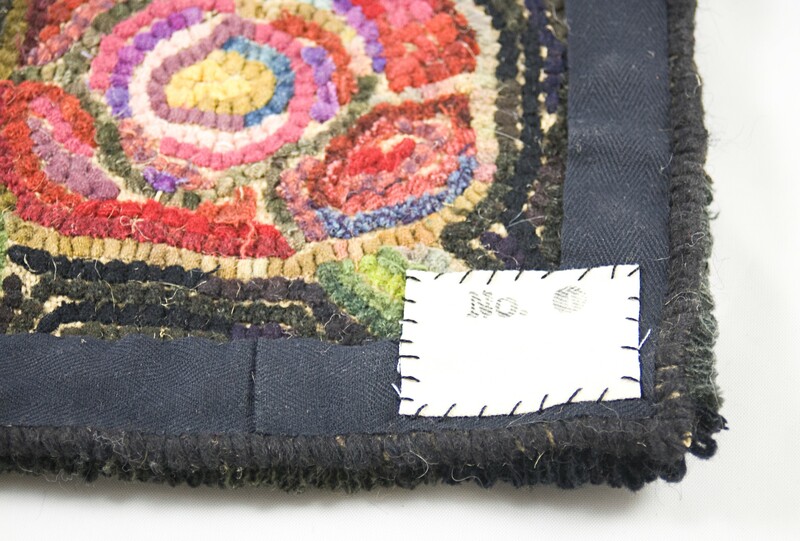 I have designed a small floral mat that measures approximately 8" x 10" for you to begin. I will cover the basics of materials, hooking ideas, and finishing processes in this class. We will jump in and hook the mat, and enjoy a relaxing day creating something new with a time honored technique. This kit is available for students who are allergic to wool. *If you choose option #2, you must contact me via email at oliverose@q.com (click on email at the bottom of this page). I will then e-mail you information with color choice ideas and yardage for each. This option allows you to provide your own fabrics to hook with. These fabrics can include: tee-shirt strips, cottons, yarns, sari-silks, wider silk ribbon, flannel, etc. Strips should be cut to a 1/4"-1/2" width, and a comfortable length of 18-25 inches. *You must contact me at oliverose@q.com (click on email to at the bottom of this page) for color selection ideas and yardage!